Children will develop body awareness, hand-eye coordination, balance, and upper body strength. Emphasis on “life skills” such as following directions, taking turns, and good sportsmanship. Children will develop over-all body control, coordination, balance, and flexibility needed in all sports and extra-curricular activities. Emphasis on life skills and gymnastics skills. Children will develop body awareness, hand-eye coordination, balance, and upper body strength. Our Preschool gymnastic program is a theme-based, age specific, lesson plan curriculum that accommodates children from ages 2 ½ to 5 years old. All of our preschool gymnastics classes are structured to help our preschoolers develop a positive self-image through a FUN, active experience. We focus on learning gymnastics skills by using a variety of music and movement, stations, and obstacle courses. 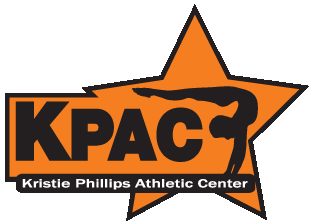 For more information, please contact KPACgym@yahoo.com.